The MP FLI-HITM was created to be a direct replacement for difficult to hit long irons. These MP FLI-HITM irons deliver a high ball launch and trajectory, pin-point distance control, and a soft landing from long distances. The Cut MuscleTM technology, built inside the large cavity of the MP FLI-HITM, positions the COG perfectly for ultimate ball control. 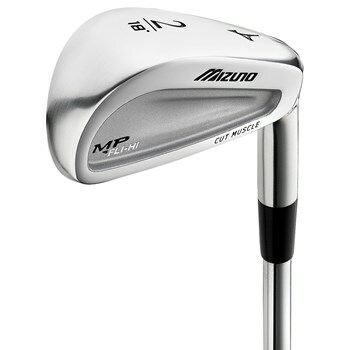 This oversized iron, with an extra wide sole, achieves maximum forgiveness where you need it most, in your long irons.